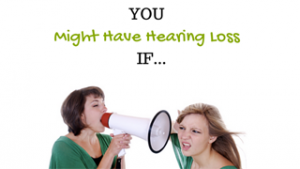 Everyday Hearing > Blog > What If You Could Prevent Hearing Loss? Would You? What If You Could Prevent Hearing Loss? Would You? 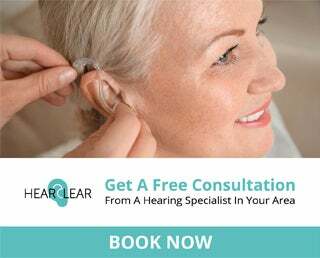 What if you could prevent yourself from having hearing loss? Would you do it? The good news is that noise-induced hearing loss is completely preventable. Yet, most people don’t want to take the precautions necessary to prevent it. I have to stop and wonder why that is? I have come to the conclusion that it depends on how much value we place on our hearing. What if I told you that hearing loss can lead to depression, anxiety, reduced earning potential, a loss of balance, memory loss, and can cause you to feel isolated from your loved ones? Would you consider protecting yourself from hearing loss now? For many years now we have been hearing about the importance of wearing sunscreen to protect ourselves from skin cancer and wrinkles. 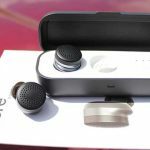 While sunscreen protection is beginning to gain popularity, hearing protection is still not a concern for most. However, what we do now will ultimately affect our hearing and health in the future. In celebration of National Protect Your Hearing Month this October, take some time to learn about how you can protect your hearing against noise-induced hearing loss. Your future self will thank you. The first thing you can do to prevent noise-induced hearing loss is to be aware of your noise surroundings. 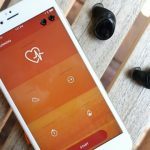 There are some great apps, like the Sound (check mark) app by Starkey Hearing Technologies, that will let you measure the noise levels where you are. Based on the level of noise, it will tell you how safe the sound is and if hearing protection is recommended. It is a simple, fast, and free way to be aware of how dangerous your environment is for your ears. Based on the measurements, YOU decide what to do. You may need to leave that environment or wear hearing protection. 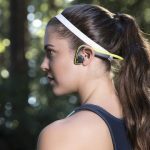 If you enjoy listening to music, podcasts, or any other audio media through headphones or earbuds, you should consider using the 60/60 rule. This means that you limit your use to 60 minutes at a time, with the volume of the device set at no more than 60% of its’ maximum volume. 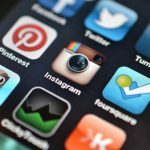 These devices can be very loud and it is easy to turn it up to damaging levels without realizing it. Making use of this rule can help to protect your ears from damaging sound levels. There is hearing protection available for everyone. It is not an excuse to say that “earplugs don’t fit my ears” or “they are uncomfortable”. There is hearing protection available for infants, musicians, hunters, and anyone who is exposed to dangerous noise levels, even in social environments. For infants and children, earmuffs are recommended. They are becoming more widely available in stores like Wal-mart, as well as online at Amazon or specialty stores such as EM’s 4 Kids. You can get them in different colors to make them fun! Start your children young and they will be more likely to continue hearing protection for life. There are custom earplugs available for adults who want to ensure a good quality earplug with a nice fit. Whether it’s for work, concerts, shooting, sporting events, playing musical instruments, or doing jobs around the house such as mowing the lawn, custom hearing protection is ideal for a variety of uses. In order to have custom earplugs made for your ear, contact a hearing healthcare professional for an earmold impression. There are a wide variety of colors to choose from. With custom earplugs, you can also choose the amount of hearing protection needed, whether it’s maximum protection for activities such as shooting or when using heavy equipment and/or machinery, or a filtered earplug that allows for verbal communication to still be heard while lowering the overall sound levels into a safer range. For the musician or concert-lovers, there are filtered earplugs that lower the overall sound volume but do not change the frequency response or sound quality of the music. You can see some of the earplug options from Westone. There is an earplug for everyone and every situation where hearing protection is needed. Hearing protection is simple. All it takes is an awareness of the dangers around you and the knowledge of how to protect yourself. Whether it’s leaving the situation, turning the sound down, or wearing earmuffs or earplugs, you can prevent hearing loss. Is having a fan on for ” white noise” going to hurt my hearing? No, as long as your are not turning the noise up too loud. Keep it below 85dB and you will be safe. Typically if you are having to raise your voice to speak above the white noise, then it is too loud.